Christine Hallquist arriving to vote in Hyde Park, Vermont. Vermont Midterm Elections, November 6, 2018. I had a full day of shooting photos for Reuters of the Vermont Midterm Elections on November 6, 2018. I left home in Brandon at five-thirty in the morning to get to Hyde Park to photograph Gubernatorial Candidate Christine Hallquist voting. I joined the small group of media including Glen Russell with VT Digger, Herb Swanson with EPA and Stephanie Keith with Getty Images. In Vermont, we don’t often have a media scrum, but sometimes it’s fun getting to know other photographers. I continued doing voting photos in Granville and Brandon, looking for good Vermont polling places. 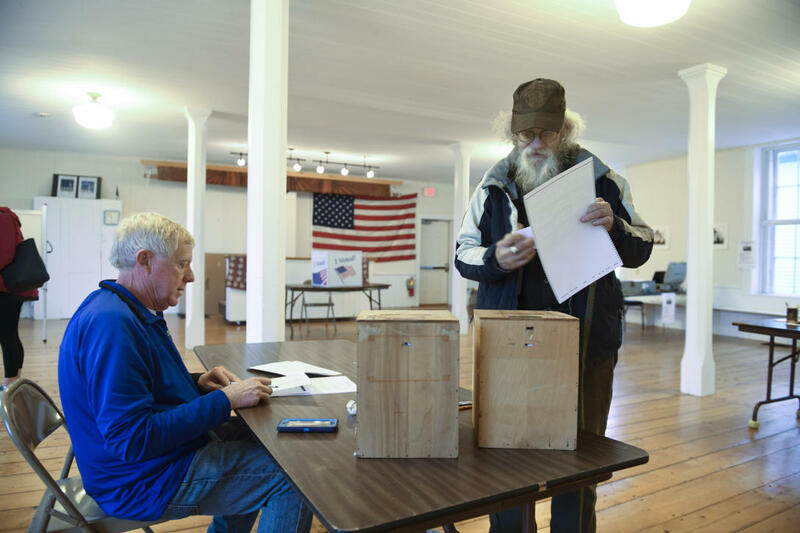 Dave Wunborn voting in Granville, Vermont. Vermont Midterm Elections, November 6, 2018. Voting in Brandon, Vermont. 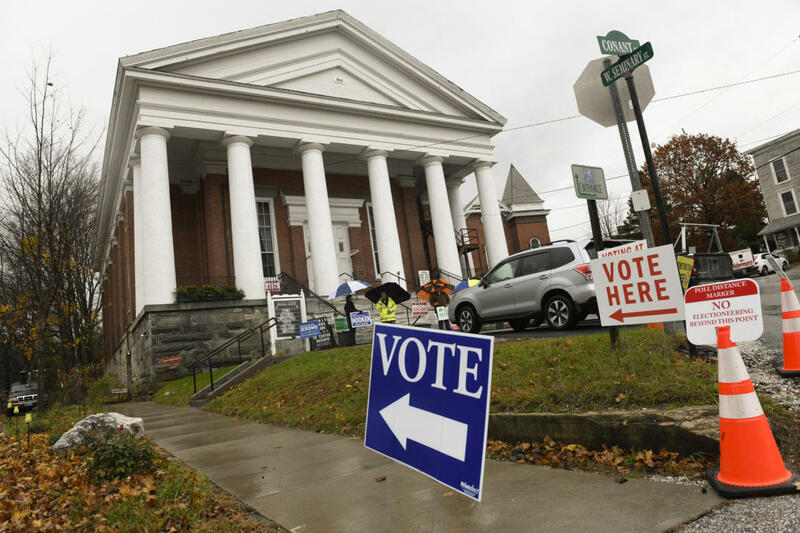 Vermont Midterm Elections, November 6, 2018. Later in the day I was still looking for one last classic Vermont polling place and did a quick search and decided to stop in Panton on the way to Burlington. 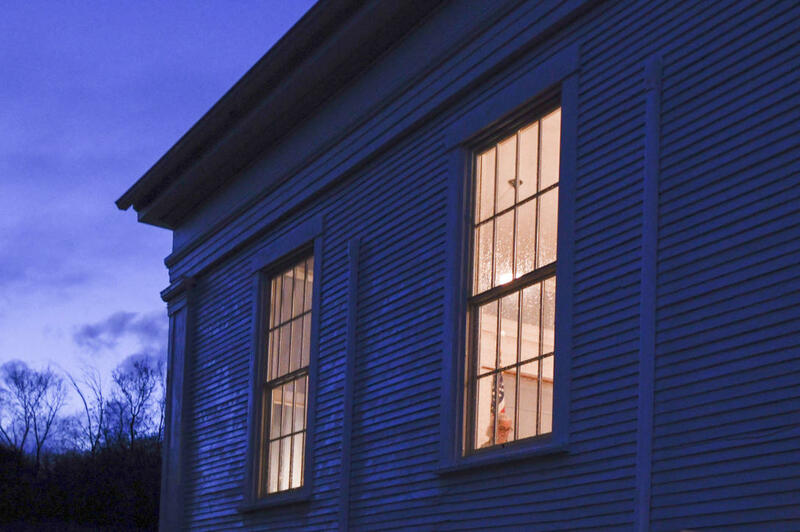 I got there at dusk and was very happy to photograph the Panton Town Hall built in 1857. Voting at the Panton Town Hall in Panton, Vermont. Vermont Midterm Elections, November 6, 2018. In Burlington I went to the Hilton for the Vermont Democratic Party Election night party. Lots of waiting around and even more media than earlier in the day. Enjoyed chatting with AP Photographer Charles Krupa and EPA Photographer Herb Swanson as well as James Buck with Seven Days. Lots of waiting around with some good wins by Lt. Gov Dave Zuckerman, Attorney General TJ Donovan, Congressman Peter Welch and Senators Patrick Leahy and Bernie Sanders. In the end Christine Hallquist conceded the election to Phil Scott and I called it a very long day, arriving home at midnight. 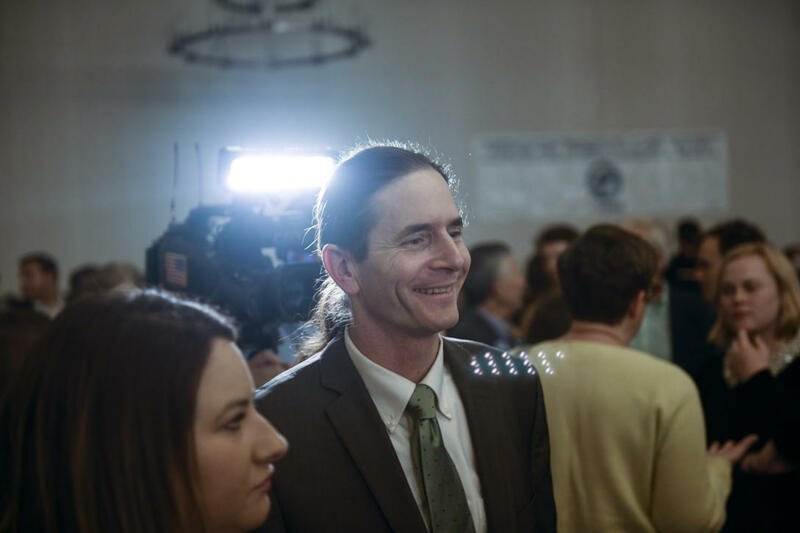 Lt Governor David Zuckerman celebrates his re-election in Burlington, Vermont. Vermont Midterm Elections, November 6, 2018. 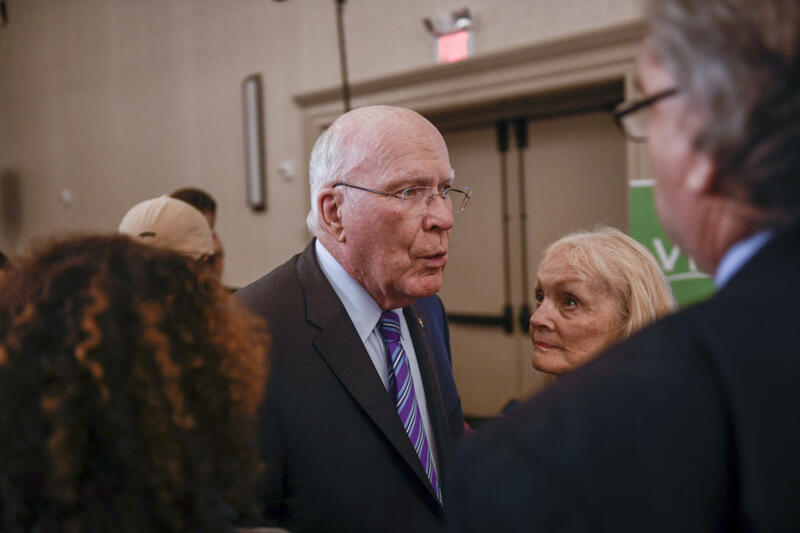 Senator Patrick Leahy and his wife Marcelle in Burlington, Vermont. Vermont Midterm Elections, November 6, 2018. 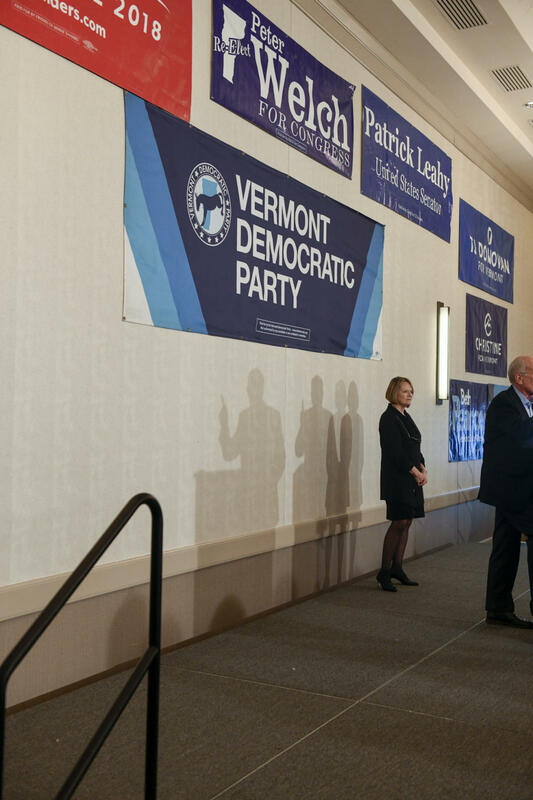 Congressman Peter Welch speaking after winning re-election in Burlington, Vermont. Vermont Midterm Elections, November 6, 2018. 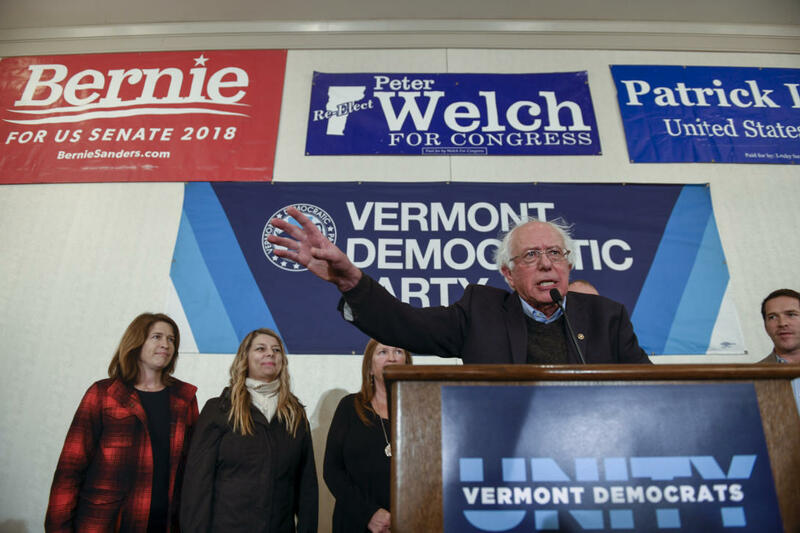 Senator Bernie Sanders and his family celebrating his re-election in Burlington, Vermont. Vermont Midterm Elections, November 6, 2018.